Apple followed up yesterday’s Mountain Lion Developer Preview update with a new seed of Mountain Lion Server. Unlike some Mount Lion preview updates, which showed up in Software Update on Macs running the previous developer previews, Apple made this update visible in the Apple Developer Center website. Members of Apple’s developer program can login at the company’s developer site and get a redemption code for the update. That redemption code then offers up the new preview in the Mac App Store. The difference in approach most likely relates to Apple’s repositioning of OS X Server. 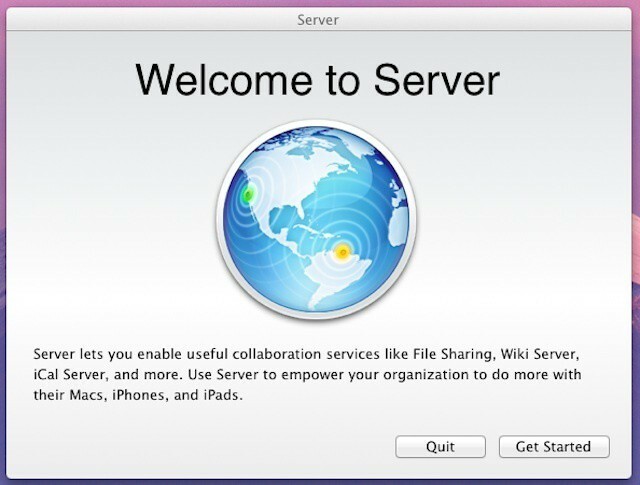 Beginning with Lion’s release last summer, Apple stopped shipping OS X Server as a separate product. Instead the company began offering it as an add-on that could be downloaded and installed on any Mac running Lion. That install cost $49.99 and installed the Server app onto a Mac. Server app can then be used to download and install most Lion Server components or to administer a remote server. Lion Server’s advanced admin tools are a separate free download from Apple’s support site. The codebase for OS X and OS X Server has been largely identical since the first OS X release over a decade ago. Apple seems to be following that strategy with Mountain Lion, which would account for the company delivering this developer preview as a separate Mac App Store product. It seems a foregone conclusion that the redemption code will work only on Macs running the most recent developer preview of Mountain Lion as a result. As we’ve reported previously, Apple began shifting away OS X Server away from its enterprise roots and repositioning it as small business solution. Mountain Lion Server is almost certain to follow in Lion Server’s lead. That said, it’s reasonable to expect that Apple will beef up some of the small business features.